short & sweet ( and perpetually polished): I'm Back!! I know I've been away for a while, but I'm back with some awesome colors to share! 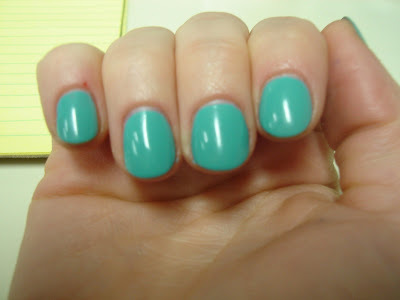 First up is essie greenport. When I saw the pics of the north fork collection, I expected to be hunting and waiting forever to own this one, but to my surprise my ulta had it two weeks early!! 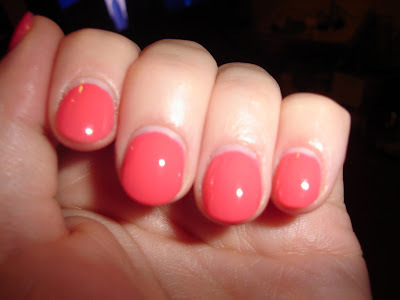 (they never get anything early) This is two coats and the color just screams spring to me, it's gorgeous! 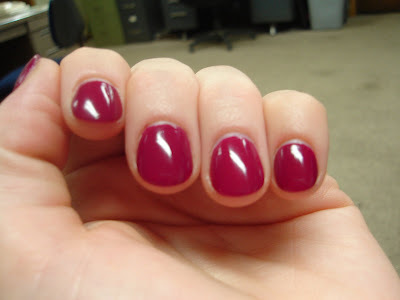 Next up is opi miami beet, this is from the south beach collection, and it's taken me awhile to get around to wearing this one. 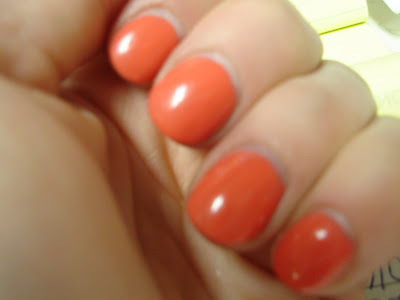 It's a great color, especially on my fair skin, but for some reason it feels more like a fall color to me. Last, but not least, is misa push up bra. This color was extremely hard to photograph. Sometimes it looks orange, sometimes pink. Irl it's a bright pink coral. Not neon but close. (the second finger pic is a closer match to how it really looks . These are some awesome colors! I only have one polish for the Northfork collection~ Shelter Island. :) I love it. I think Miami Beet is very pretty on you... but it does kind of look like a Fall color.